Please tell us how you all met and formed Lady Antebellum? DAVE: Charles and I moved to Nashville in 2006, and he randomly met Hillary out one night and invited her to write with us. We were living at his brother’s house (Josh Kelley). We spent that summer writing what mostly became our debut album. Josh invited us to open for him at 3rd & Lindsley, and we used that opportunity to showcase some of the songs we had written for Hillary, who was pursuing a solo career. It became pretty evident there was something special in us performing together, and it just evolved quickly from there. 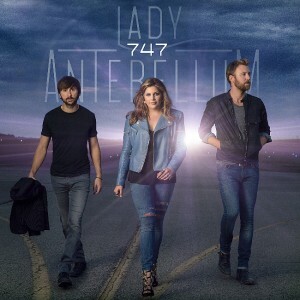 What is the significance of the name “Lady Antebellum?” Please tell us how you came up with this name? CHARLES: This is my fault! We were trying to come up with a really cool band name, and after several epic fails, we were taking some photos in front of old Antebellum-style homes in Franklin, TN; and that word just stuck with us. 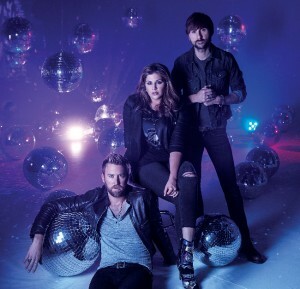 I called Hillary and Dave, and I suggested “Lady Antebellum.” They agreed with me, thinking if we ever got a record deal that we would have to change it. Please tell us about the experience you had the first time you all sang together and you realized that your voices blended so well together? How do you structure your harmonies? And what was the first song you ever sang together? HILLARY: The first song we wrote together is called, “All We’d Ever Need”. Before we got together, Charles sang in a much higher voice, but once we started writing demoing those early songs, it fit better in his lower register. Then Dave added his harmony. We really came across it accidentally. CHARLES: I’m pretty sure it was the whiskey! Dave actually came up with the music to this song and we had invited Rodney Clawson to come out one weekend with us on tour earlier this year and [we] pulled it back up. We wanted to create something fun to sing and dance along to. The music video for “Bartender” includes supermodel Kate Upton and actor Tony Hale … how did they get involved? HILLARY: We share the same makeup artist as Kate. We were at a few events together and just became friends. I had to really twist the guys’ arms to have her in our video (kidding)! The director (Shane Drake) is friends with Tony, and thought he would be a fun addition, and he really ended up being the star of the video. It was one of the most fun experiences in making a video. “Bartender” joins your other former Country #1’s “Need You Now” and “Just A Kiss” and is now reaching other formats. How has the music evolved since then? DAVE: We’ve never written a song with a particular audience in mind, it has always been about a feeling … usually inspired when we’re on tour. The fans are a great gauge of songs and we’ll test new things out when we’re on the road to see what they’ll react to. We’re probably best known for the big, love power ballads, but [we] love the energy that comes back from the crowd on the tempo rockers. Your biggest hits seem to either be about romance or loss of love. Now that everyone is married and there are two children in the family, how does that affect your songwriting? CHARLES: We’re all in a happy place personally and we are fortunate to be able to take our families out on the road with us as much as possible. But, we draw inspiration from a lot of different places. We’ve all been in love and had relationships in the past that didn’t work. We just try to write what we know about and have lived through. You usually write new material on the road. How did touring inspire your writing for the new project? DAVE: Ever since our first tour, we would sit around during the day jamming with our band guys backstage. We find ourselves to be most creative when we’re on the road, and we’re always stockpiling songs for the next project. Sometimes inspiration will come from a guitar riff, a phrase, or idea someone comes up with. We also bring out other writers almost every weekend and they’ll come with several ideas. 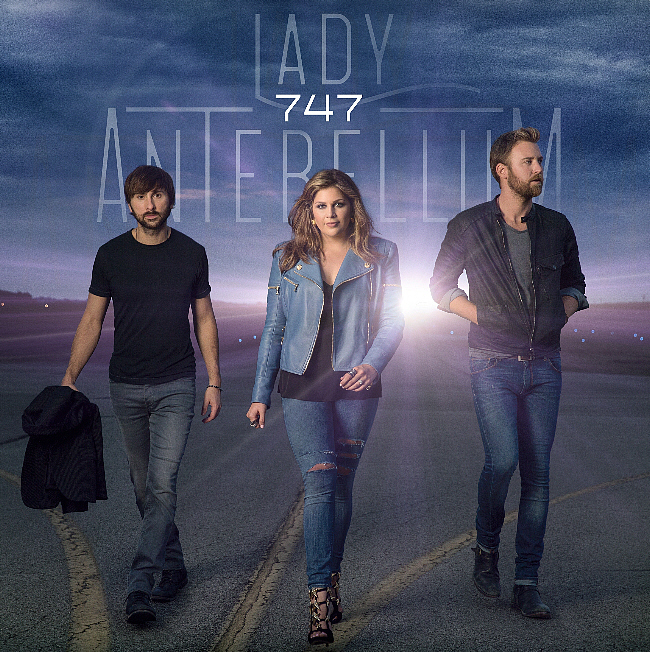 For your new album “747”, you decided to bring in a new producer and work with Nathan Campbell. What led to the change? HILLARY: We are always looking for new ways to challenge ourselves creatively. On the last album, we would have never written a song like “Downtown,” and singing it created a whole new challenge that helped me grow vocally. We were ready to try a new creative team to build on the sound we built over the years, but give it a different twist of energy. Charles, your brother Josh Kelley has had some success as a songwriter and performer as well. Please tell us how you influenced each other musically when you were growing up, and how you have helped each other navigate the business side of things? CHARLES: Josh and I are less than two years apart in age, and we grew up listening to a lot of the same music. If it weren’t for him living in Nashville, I don’t know that Dave and I would have moved here when we did. I’m such a huge fan of his voice and his writing style, and we bounce a lot of things off each other creatively. What is the one truth that has always remained constant throughout your career? CHARLES: You have to love what you do and wake up every morning inspired, and create balance between work and personal life. You have collaborated with artists like Maroon 5, Stevie Nicks, etc. Are there any others on your wish list? DAVE: There are so many. We all love what Sam Smith is doing right now. It would be great to sing with a Country legend like Vince Gill at some point. With more than 2 million Twitter followers and nearly 12 million Facebook friends, how do you stay engaged with such a large social media fan base? HILLARY: I first became a fan of Charles’ voice through his brother’s MySpace page, so connecting through social media has always been a part of our adult lives. Years ago we created a “Webisode Wednesday” series and for 300 weeks we put together some kind of video of what we were doing to share with our fans. Content is so instantaneous now, so we try to capture what we’re doing and share it as quickly as possible. We let our team post marketing messages and then we each post personal things as well. You actively work international markets like Canada and the U.K. How do your fans respond to your music differently in other countries? CHARLES: It’s always interesting to see what international audiences respond to. The UK fans, in particular, are incredible students of music – they know the lyrics to every song on every album. The last time we toured Europe we were playing an album track and the whole room was singing it at the top of their lungs. We just stood back and took it in. But, we have invested a lot of time developing Canada, UK, Australia and a few other markets. This album is the first time we’ve released different singles the different countries. It’s been a great way to test different songs at the same time. CHARLES: We each have such different influences. I love classic rock…Tom Petty and guys like that, but I love Vince Gill too. Hillary leans toward females from Aretha Franklin to Trisha Yearwood. Dave …and all of us, are big fans of harmonic bands like the Eagles. DAVE: We will usually record bits and pieces into our phone when something comes to us. We also have a small rig in the back of our bus and will record something if the mood strikes and we’ll save it for later when we’re looking for ideas. How are you using new music technologies to record music and in your personal life? HILLARY: We’re on a group text together and we send everything from song ideas, news, favorite restaurants, and set lists to each other. With the mobile recording studio in the back of Charles and Dave’s bus, we can write a song in the morning and have the demo recorded by lunch, and then email it out immediately. It has helped us be a lot more efficient in the studio. Why is this lifestyle (recording, singing, traveling) one that you’re willing to follow? CHARLES: There was never a backup plan. Music is our life and even if we had not made it as artists, we would have been songwriters. Who are some of the new artists who inspire you? DAVE: Sam Hunt…we love what he is doing right now. It’s great to see artists from Nashville have success in other formats, like Meghan Trainor. Sam Smith is unbelievable. Do you have any advice for upcoming musicians? HILLARY: Never follow trends. Authenticity always lasts. An Interview With The Consistent Chart Topping Irish Band, The Script!